The Tensor was released in 2014/15 season. It is a high performance monoski similar to the Torque 1 & 2, but with some new features. Firstly, the Tensor sits more stably on lift chairs; it sits further back on the seat and it tilts the rider slightly backward. Secondly, the Tensor accepts many different types of shocks, offering more customized rides and different ride heights. Thirdly, the Tensor is designed with a completely new look. 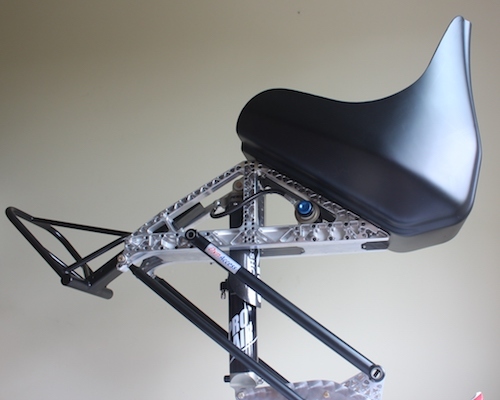 The frame is made of CNC milled aluminum with a special triangulation scheme and two large torsion tubes for maximum strength and stiffness of the frame. We have ensured that all positive features of previous models have carried through to this newest monoski.